Note: This column was published in the Barrow Journal on November 20, 2013. After working several months on my first e-book, I’m proud to say I have finally published it. 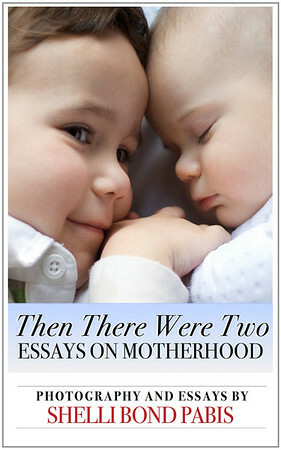 Then There Were Two: Essays on Motherhood is a book of essays adapted from my first columns with the Barrow Journal, written before and after my second son was born. So it’s about a mother adjusting to life with an infant and toddler as well as musings on nature and family issues. It also has some of my photography from that time. I’ve published it in the Amazon Kindle Bookstore, though I hope to offer it through other venues in the future. One of the reasons I published it in the Kindle Bookstore first is because these books can be read on every device, including iPads, Androids, and a regular computer using the Kindle app. It can also be sent to anyone as a gift, and all you need is the name and e-mail address of the person you’re sending it to. There was a time many years ago that I would not have considered self-publishing a book. I wanted to write fiction and get published with a respectable publisher, but after trying for a few years and attending several writing conferences, I learned that the publishing business has more to do with making money, which is understandable – otherwise the publishers couldn’t stay in business. But I also learned that if I persevered and eventually got published, that did not guarantee I could afford to live on writing alone. It’s sad to know that there are a lot of good writers out there who will never be published because their work isn’t “marketable.” Maybe a writer doesn’t have thousands of readers, but if they are competent and appeal to hundreds, why shouldn’t they self-publish? As a blogger, I see many writers like me trying their hand at e-books, so at the urging of my husband, I thought, “Why not?” I have nothing to lose. The process has been a lot of fun too. I went through my early columns and decided I had enough to make a book that would appeal to mothers. Like any writer, I’m my own worst critic, so I edited, polished and rewrote some of it. Then I picked some photographs that I thought went with the essays. It amazes me that anybody can sign up for an account on Amazon and publish a book in minutes (though it goes through a preview process that takes up to 24 hours before it goes live). Many writers have been given a chance to publish their books this way, and many of them have been a success at it. Those who think they can write but cannot may be weeded out by poor sales and rankings. Poorly edited, formatted or otherwise sloppy work won’t get very far either. Of course, I’ve learned it takes a lot more than a well-written book to catch the attention of buyers. I needed the perfect cover, perfect blurb, and then I have to market my book so that people will learn about it and buy it. None of that is easy, but I’m writing only partly because I want to make money. I’m also writing because I love to write and share experiences with others. So I’m putting it out there, and I’ll see what happens. I have plans for more e-books. I want to write a handbook for busy parents on how to tell stories to their children for teaching, entertaining and imparting wisdom. After all, children respond better to stories than to lectures! Also on my ideas list are some e-books on our homeschooling journey by grade, particularly focusing on our blend of using some curriculum along with child-led, project-based learning. I have other ideas too, but before I commit to them, I better get these written! If you know a mother who might like a book about the joys and misadventures of handling young children, please take a look at my promo page. You can also search my name on Amazon.com. It makes a perfect Christmas gift for busy mothers because the essays are short and can be read during baby’s nap or feeding session! One more note: If you do buy my book, THANK YOU. I hope you like it. I liked reading about your insights to publishing an ebook. I have been dipping into both worlds, e and paper books, lately and it is amazing what a different process it is. I think they both have their strong points, but I love that whatever we do can eventually become an ebook at our choosing. It is exciting to think about the possibilities! Thank you, Dawn! Are you writing books? E or other? Annie and I put out an ebook through the Mud Puddles to Meteors blog as a PDF and that was super fun to put together. And we have some other book projects in the works, one with a publisher right now, and another being “shopped around” to find the right publisher. It has been an interesting journey to add things like book proposals, and all of the work that goes into that, onto the already huge task of writing the book itself. And other “behind the scenes” stuff that I had never really give much thought in the past. Which is all very exciting because we would love to see our work in print and getting into the hands of families. That said, the ebook route is definitely more straightforward and of course gives the author(s) total control, and total profit. Thanks, Dawn! I saw the weather e-book – great idea! Congratulations on the upcoming publications. Do you have an agent? That is a huge hurdle in itself! My other question is how do you get all this done while homeschooling your kids? Researching agents or small presses, writing proposals and all the other behind-the-scenes work that entails seems almost impossible to me at this time of life! Yes! It is overwhelming. I do think it helps a lot that I have a writing partner in all of this. We make deadlines and since we are working toward those small goals together along the way it helps with focus and motivation. We can also work with our strengths and divide work up accordingly. We do have an agent. That was a big step for us, as in the beginning we were not going to go that route and only focus on self-publishing or ebook options. But after asking a few contacts we had an “in” with a great agent and it has worked out great so far. As for writng and homeschooling: It has helped me a ton to carve out “mama project time” where the kids work independently for awhile in the afternoon. I also get up at 4:00 am to get a lot done before they get up. Having that morning time is most productive. I tried the stay up late routine but I am naturally a morning person so early to bed, early to rise works better for me and knowing that they are going to be up, usually by 6:30, forces me to focus. I am less likely to get lost down those rabbit holes of “research” or caught up in things that are not productive. I am super new to this world of books and publication, but if you have any other questions please feel free to ask. You can also email me anytime.